The purpose of my early version of larryBot is to create a basic robot that can be controlled with Arduino and that can be made from minimal materials and costs – I aimed with the Arduino included for this cost to be about £60-70 in total depending on what you can scrounge and providing you have the tools and some parts already. Also I wanted to make a robot from scratch rather than hacking together existing things, like modifying a RC car chassis for example. So far all larryBots aim is to do is to avoid obstacles and move around them. 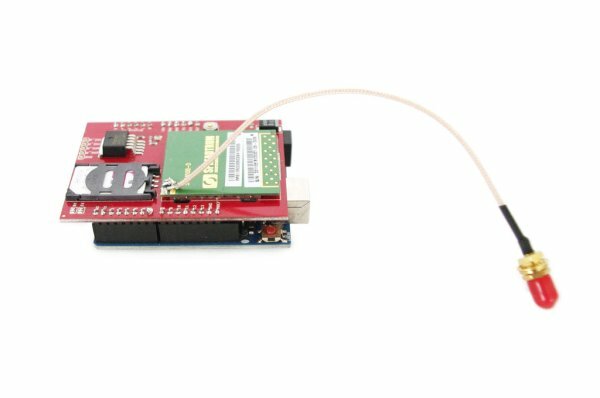 First off I looked at using the L293D chip to control 2 DC motors and this would operate my steering and I would use the SRF05 ultrasound range finder as a proximity sensor. I had no problem with this circuit when I first started until today. My first consideration was the chassis, now I figure that most people like me have spent the money on the Arduino board, which is worth every penny, and you probably have a few motors and bits with which to do this. However, like me, you looked at chassis and what to build one from to mount all the electronics. Theres the Tamiya erector set (if you can get it in the UK), Meccano, Lego and of course specific robot chassis’s not to mention designing your own and getting it made. Anyway, the foamboard is excellent for my uses so far as my robots aren’t massive and their weight is minimal. It also allows me to rapidly prototype a chassis and layout without any costs – you can just push screws and bolts through to mount motors and use a glue gun to join parts. Another bonus is that you only need a craft knife to cut it. To connect everything I just brought a set of various nuts and bolts to use along with a glue gun and thats it. distance = pulseTime/58;                      // Distance = pulse time / 58 to convert to cm. I’ve gone down the route so far of using differential steering, this means that to turn left 1 motor goes forward while the other goes in reverse. I did look at using a servo to mimic an RC cars steering but this added to complexity which for now I want to avoid.